If your roof, deck, or siding is showing signs of deterioration or dirt buildup, Strong Hammer Contracting can effectively clean and restore your exterior surfaces with our robust and precise power washing services. Our trained technicians will utilize the most advanced power washing equipment in the industry to remove mildew, dirt, oxidation, and other foreign elements to restore your exterior surfaces to their former glory. When you turn to Strong Hammer Contracting for power washing solutions, we’ll utilize safe and effective technique to protect and preserve the natural beauty of your home exterior; whether it’s made of vinyl, aluminum, stone, stucco, or any other form of masonry. 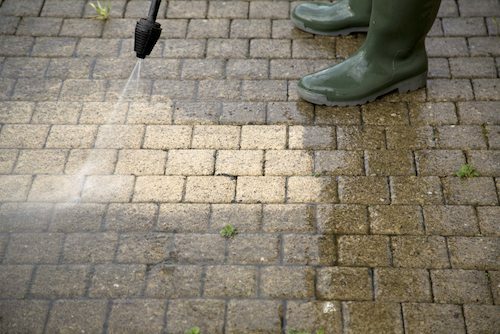 Our power washing is safe, efficient, and will leave the outside of your hom looking pristine and new. If you have any questions about our power washing services or if you would like to schedule a cleaning session, please contact us at 914-740-3814 today. Strong Hammer Contracting offers pressure washing, power washing, and more to White Plains, New Rochelle, Mt Vernon, Yonkers, Port Chester, Greenwich, and surrounding NY & CT communities.